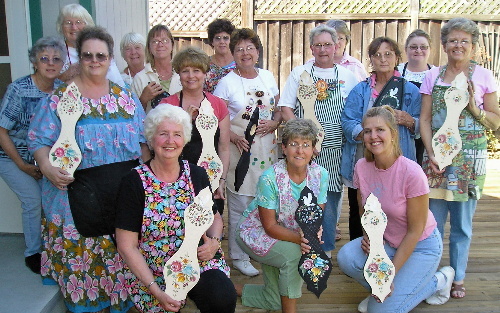 A fun group of ladies from the Northern California Decorative Artists chapter gathered for three days to paint together for one last seminar at Pearl Arhontes' big beautiful home just before she moved. 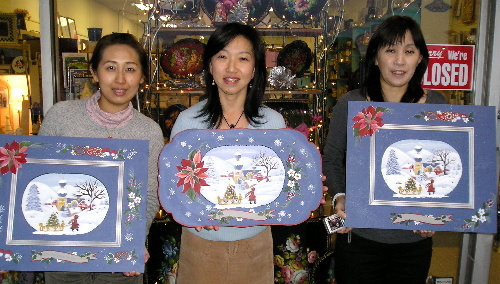 They almost completed the Bavarian Bouquet Chest in two days which was a large involved project. The last day they had a good time painting the Black Forest Dove Clock. 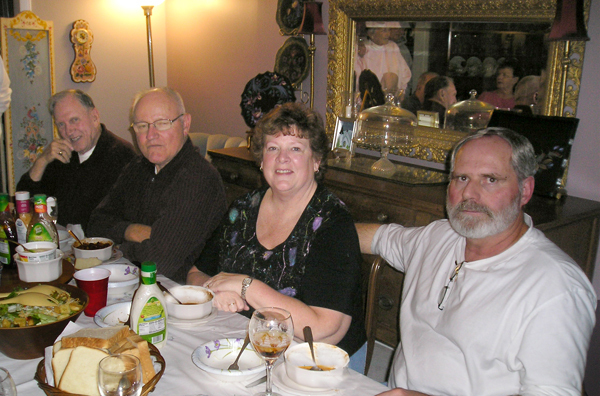 We all appreciated Pearl's huge painting room, the good lunches and the enjoyment of painting together. It was such a treat to be able to teach at the Craft Palace again this year! Everyone in the class worked really hard to compete their Christmas in Bavaria Box in two days. Most left with only a little bit to finish. This box will be a great place to store some very special Christmas ornaments. 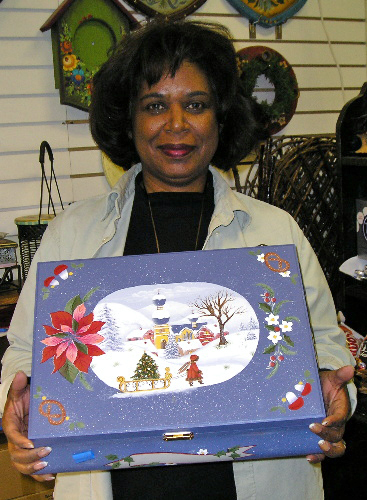 Jeanie painted her box in loving memory of her business partner of many years, Carol Stretch. 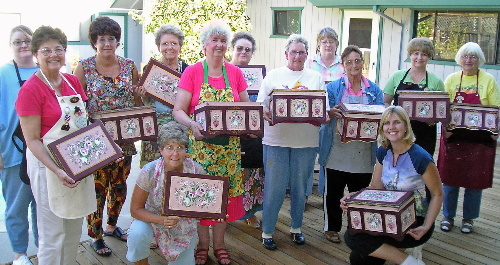 The last day we painted a Bavarian Napkin Box which most folks finished as well. It was a wonderful seminar and always a "homecoming" treat for me to be able to visit with so many of my California friends each year. A big thank you to everyone who came and especially to Ernie who cooked great lunches and Jeanie who painted all those name tags - and did everything else as well! See you all next year! 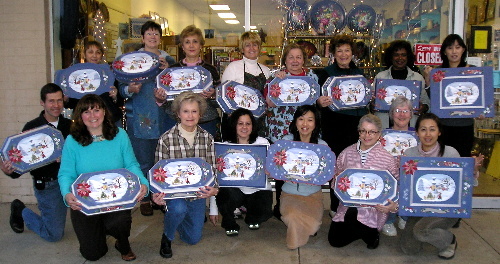 A lovely group of folks gathered at The Apple Tree to paint "Christmas in Bavaria". 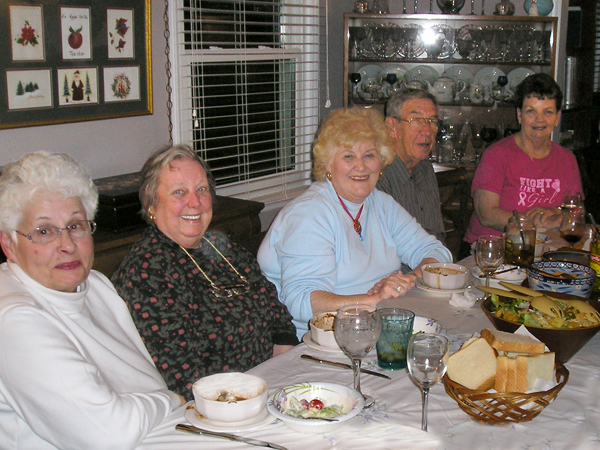 It was wonderful to be able to visit with friends from years ago as well as meet some new painting ladies. Everyone worked hard in class and went home with mostly just trim work left to complete. There were also some beautiful variations as you can see above. It was so nice to see such lovely creative rearrangements of the designs. 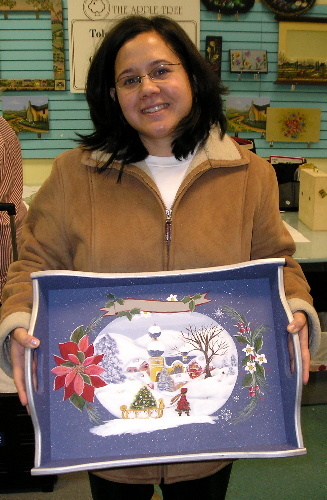 I hope everyone is able to finish their beautiful Christmas projects BEFORE Christmas!